This movie is remade in Hindi as Milan (1967 film) starring Sunil Dutt, Nutan and Jamuna. 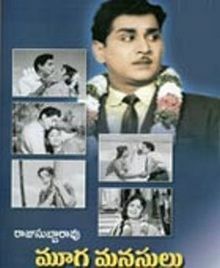 Its remake in Tamil entitled Praptam is directed by Mahanati Savitri. "గౌరమ్మ నీ మొగుడెవరమ్మ" పాటలో A N R శివుని గెటప్ లో కనిపిస్తారు.